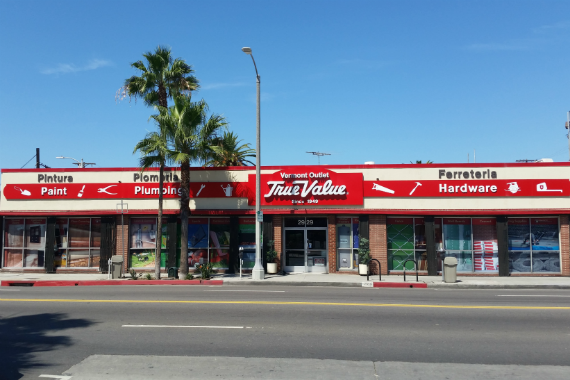 Family owned and operated since 1949, Vermont Outlet True Value Hardware in Los Angeles is proud to offer the tools, products and expert advice for all of your project needs. "There's no better feeling than helping you! If you ever have a question about something, don't hesitate to ask." "Consider us your go-to store for all of your plumbing needs." "End your project with a smooth finish." "We're proud to offer a wide selection of power tools at affordable prices so you can get the job done quicker and easier." "With so many products, finding what you're looking for can be tough. That's why our knowledgeable team is here to help!" Similar to Home Depot, but on a smaller scale. Two friendly and polite employees offered to help me while I shopped around. Stocks were well organized. Prices were almost the same as those in Home Depot. Street Parking only. West portal has one hardware store and here they are.... pretty darn good and please figure they sell the same stuff all hardware stores do but conveniently in this location... so yeah... at a dime to everything. Yes, I'd like to receive news from Vermont Outlet True Value. Sign up for the Vermont Outlet True Value Newsletter!